But everybody is happy about it! 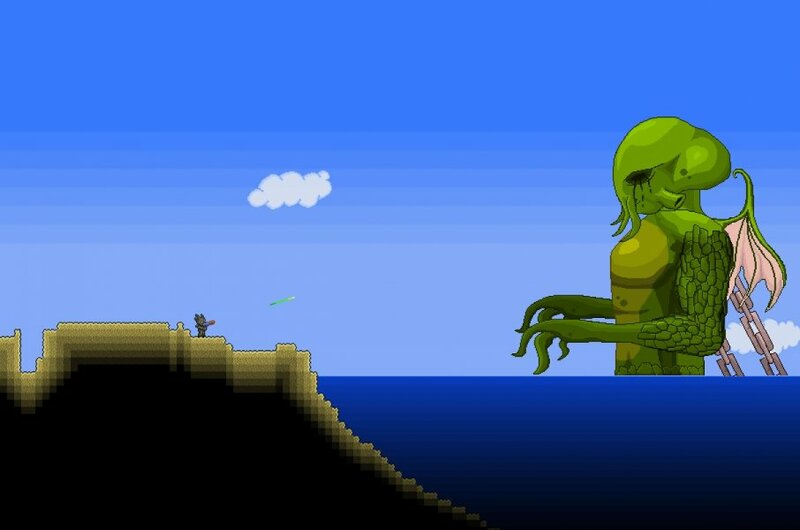 Shortly after the impressive 1.2 patch hit Terraria, developer Andrew Spinks announced a sequel to the game was in the works. To put it in a confusing and succinct way, it's going to be everything Terraria is, times infinity and slightly different. Back in the day, Terraria was abandoned by its creator. As we all know from reading our history books, though, it continued to thrive, going so far as to receive an awesome update almost a year later. Developer Andrew Spinks had planned to move on to another project, but the call of Terraria was just too strong. In early October Spinks made the official announcement: Terraria 2 is definitely a thing. One of the biggest changes Spinks wants to make to Terraria 2 is adding infinite worlds. Travel anywhere, experience massive biome diversity, and never see the same thing twice. There were some things that just weren't practical to change in the original game, which is why the sequel was born. Character progression could also be receiving an overhaul, along with changes to the way loot is gathered, collected and organized. What these changes are is anyone's guess at this point. Spinks didn't give specific details about Terraria 2, only ideas and plans. It would be really tough to mess up something like Terraria, however, and we're excited to see how the sequel will get along with games like Starbound. Page created in 0.3646 seconds.